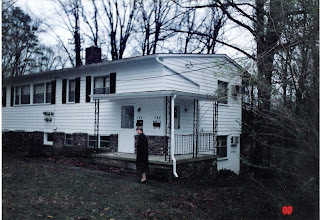 My first area was Oak Ridge. 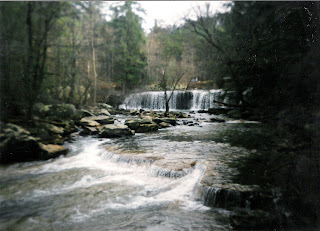 We also covered Oliver Springs and several small towns in the surrounding area. 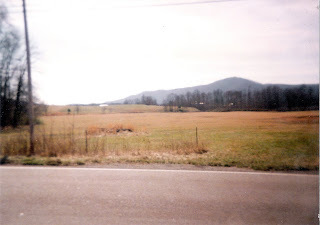 I arrived in Tennessee on December 23, 1997. Due to winter weather, our group had several flight delays and did not land until late on the 23rd. We had dinner at the Mission Home and learned who our companion would be and left for our first area. 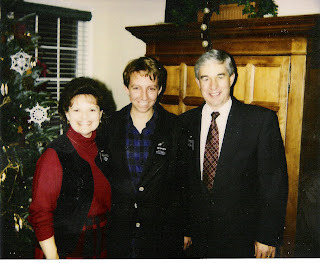 Upon arrival at the Mission Home, I had my picture taken with President and Sister Benson. 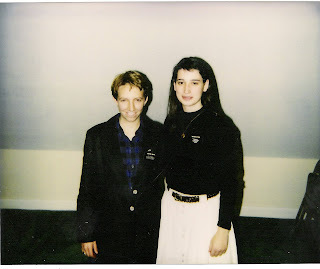 I then had my photo taken with my first companion, Sister Laura Stahl. Our apartment was through the door you see and down a set of stairs. 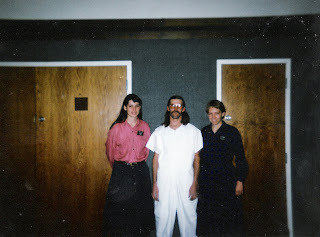 January 30, 1997, Henry Patton was our first baptism in this area. In February, we had a major skunk problem near our apartment. We let the manager know and he sent his maintenance man to take care of it. He went over during the day and boarded up the hole that went under our apartment (keep in mind skunks are nocturnal). The skunks got mad because they could not get out, so every time we stepped on the floor in the morning or entered out apartment from the outside, they would spray. The smell got so bad that it permeated our clothes so we were going around smelling like skunk. On February 8th we took all our clothes to a members home and did laundry. We stayed with a member until February 12th, when they finally got the skunks out and we could go in and clean the apartment. Cleaning after the skunk problem. 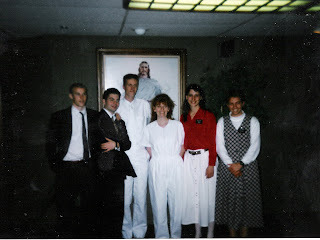 February 26, 1997, Janice Newport was baptized. March 15th and 16th we had a Regional Conference. Elder Stanley of the 70, Elder Wirthlin of the Quorum of the 12 and President Hinckley with each of their wives were present for the conference. As missionaries, we had the opportunity on the evening of the 15th to have a special missionary meeting with them. 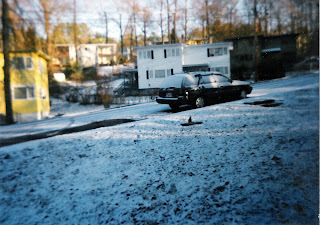 Because of this little bit of snow, we were not allowed to drive our car until it melted away! 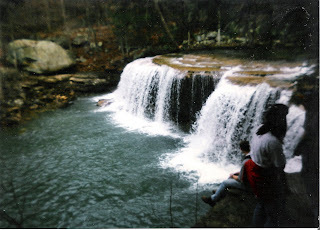 The remainder of these photos are of scenery from around this area. 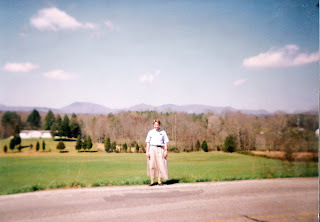 I was transferred from the Oak Ridge area on March 26, 1997.